WASHINGTON — Streetlights can make streets and alleys safe but, for some D.C. residents, some new bright lights are also keeping them up at night. “I think they are absolutely ghastly,” said June Hargrove, who has lived in Northwest D.C. for 40 years. The streetlights in question are equipped with LED lights that are being used to replace older bulbs, which use more energy. The call from some residents is not to stop the transition to LED lights but for the city to use dimmer lights near homes. “There has to be a way to shield them, because it’s intense, and it would just go right into our windows,” said Linnea Warren, of Woodley Park. 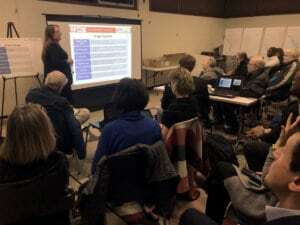 Warren and Hargrove were among dozens of residents who gathered Thursday night at a meeting about a project D.C. is proposing to get new streetlights, which also gives a community the ability to petition the city for dimmer lights. 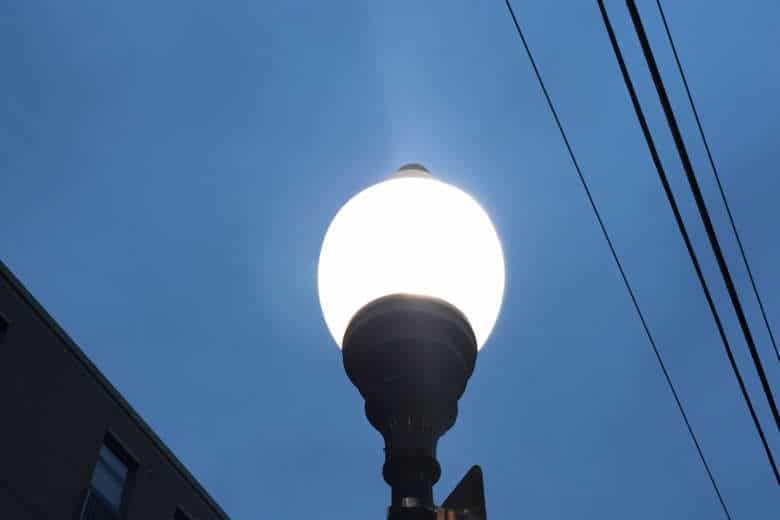 Kathryn Roos, interim director at the Office of Public-Private Partnerships, said the solution would come in a public-private partnership, or P3, which the city is proposing to get streetlights modernized and provide for maintenance of the city’s 75,000 streetlights. 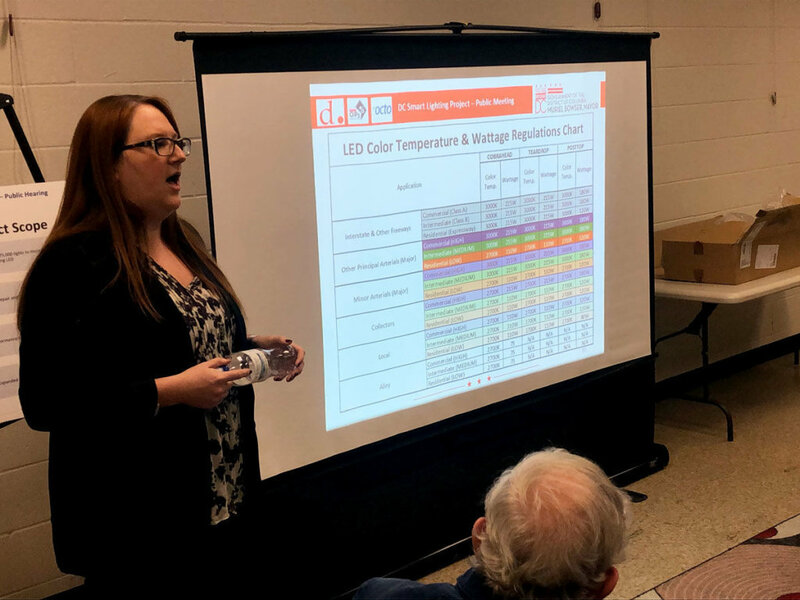 Among the requirements the city will have is that the color temperature of LEDs used will be no higher than 3,000 Kelvin, which is comparable to the color of warm, white bulbs available in stores. All streetlights will need to have technology installed that will allow the city to dim remotely. “That allows us to customize for neighborhoods,” Roos said. Getting neighborhood lights dimmer would involve a process of neighbors signing on to a petition urging the city to lower the virtual dimmer. Roos said the process would resemble that of residents getting together and asking the city to install a speed bump in their neighborhood. The city said current plans would make streetlights in commercial areas and downtown the brightest, with residential neighborhoods seeing the dimmest of the settings. The lights will also provide shielding, according to Roos, which would keep the light on areas it needs to be and out of areas it shouldn’t be. Roos said using a P3 for upgrading and maintaining the lights would also get the new lights up quicker. The city would require the P3 to have new fixtures up in two years, compared to the more than eight years she said it would take the city to modernize the lights on its own. The new LED streetlights have a feature that allows them to be monitored remotely, alerting the correct authorities when a light goes out. The current system relies on residents reporting burned out bulbs. This September, Roos said 11 applications from organizations looking to be a part of that P3 came in and are currently being reviewed. The P3 could be selected and approved by the D.C. Council as early as next fall.